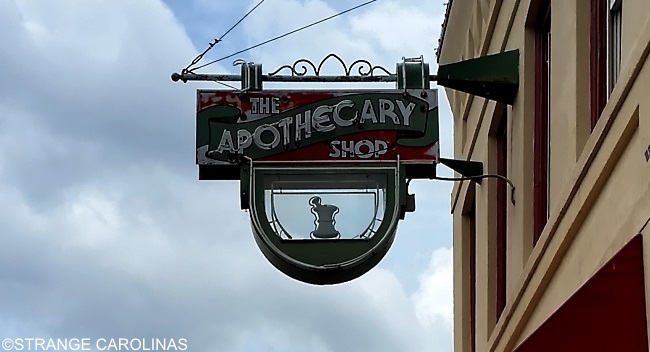 This Apothecary sign is one of the many remaining pieces of a pharmacy that opened its doors on Main Street in Hendersonville in 1900. In the 1950s, Hendersonville's first soda fountain counter was installed that is still in use today. Since 2007, the building has been the location for Mike's On Main, a '50s style diner. In addition to the cool Apothecary sign, you can also find the pharmacy's original cash register and bottles that were once used for the medication.